Home / About AED / Finance / UAE Currency / UAE Dirhams / Want to Know More About UAE Currency? 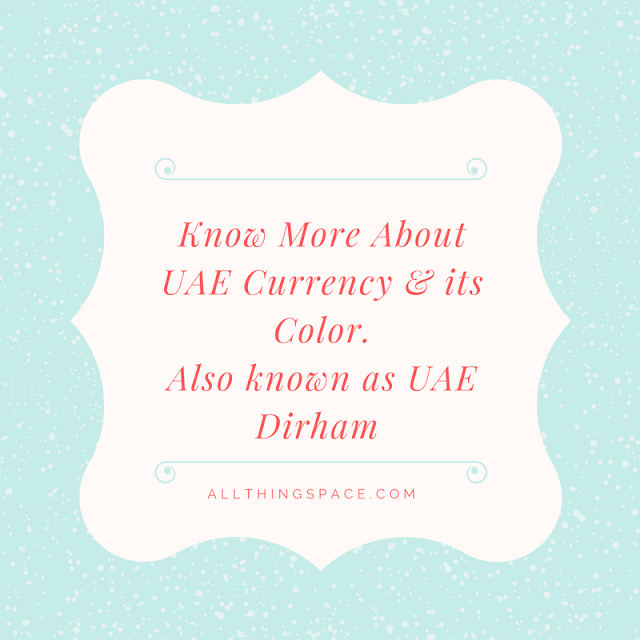 Want to Know More About UAE Currency? AED is the currency of UAE widely known as the ‘Arab Emirates Dirham’is also known as the ‘Emirati Dirham’, often abbreviated as ‘AED’. Unofficially it is also abbreviated as ‘DH’ or ‘Dhs’. UAE Dirham rates today are available in the forex sites for immediate reference facilitating buying of UAE currency as per the availability of best rates. The United Arab Emirates (UAE) flourished to be the most central economic epicentres of the Middle East as an alliance or federation of seven states. Abu Dhabi, Dubai, Ajman, Fujairah, Ras al Khaimah, Sharjah, and Umm al Qaiwain are the seven states which started flourishing by the discovery of oil in the 1950’s, further transforming the standards and outlook of the UAE society itself. Today with its diversified trading opportunities, it is a hub for tourism and the investments by Multi-National Companies are highly impressive. A basic knowledge regarding its currency is vital especially to tourists and traders who are on the lookout for growing opportunities. The Arab Emirates Dirham or ‘AED’ is split into ‘fils’. Thus 100 fils makes up one dirham. Coins in denominations of 1, 5, 10, 25, 50 fils and one dirham was introduced in the year 1973. The 1, 5, and 10 fils are made of bronze while the higher denominations of 25, 50 fils and one dirham coins were made of cupro-nickel. Later by 1995, the size of the 50fils and one dirham coins were reduced. There is at present confusion and risk of puzzling between an old 50 fils coin and a new one dirham coin which being reduced in size parallels the old 50 fils coin. Though smaller denominations are available, the coins at the value of 1, 5,and 10 fils are not so often used in daily lives and so the totals in transaction are rounded up or down the to the closest multiples of 25 fils. The 1 fil coin is the most rarely used despite of its existence. The number and value of the coins are engraved on the coins in ‘Eastern Arabic Numerals’, while the text is carved in ‘Arabic’. The currency board of UAE also has the history of minting quite a few coins in commemoration and celebration of various rulers or events. The United Arab Emirates Currency Board also has hosted notes with denominations of 1, 5, 10, 50 and 100 dirhams. Later, 500 dirhams, 200 dirhams, 1000 dirhams were all introduced in different colors. A brief look will help easy identification of AED Bank notes through its colours. 5 dirhams – brown, 10 dirhams – green, 20 dirhams – light blue, 50 dirhams – purple, 100 dirham – pink, 200 dirhams – green/brown, 500 dirhams – navy blue and 1000 dirhams – greenish blue. The evident text is written in Arabic and numbers in Eastern Arabic Numerals. On the other side of the bank note the texts are written in English with numbers in Arabic numerals. The 200 dirham notes were re-issued in 2008 with a different color in yellow/brown in place of green/brown. The UAE Central Bank has come up with a new 50 dirham note with a security thread which is 3 mm wide and the new coat of arms which was introduced in 2008. Populace travelling to UAE, whether it be tourist, business, educational or career will find the basic information of its currency, a great help. Further usage could be made more effective with the support of our efficient travel desks at the branches and the travel department.